Teen-friendly spa Teen-friendly spa This spa welcomes anyone over 16. This elegant hotel and spa is a beautiful mix of old and new, with exposed brickwork and bright, modern design. At the heart of the spa facilities is a 25-metre pool and a vitality pool to massage your limbs with swan pipes and bubble jets. There is also a large hammam, aroma stream room, caldarium, salt-inhalation room and sauna. After a Carita or Aromatherapy Associates treatment, relax on the tepidarium beds, on the sun-drenched terrace, or snuggle up in the deep or light relaxation rooms. A cool blue neon sign on a red-brick gatehouse marks your arrival at The Mere, a privately-owned hotel, golf club and get-away-from-it-all spa near Knutsford. Drive through the building's arch to a car park filled with as many golf buggies as vehicles. Built around Mere Hall, and dating back to 1820, the property occupies an enviable position on the edge of a manicured golf course and offers unrivalled views of the mere (lake). 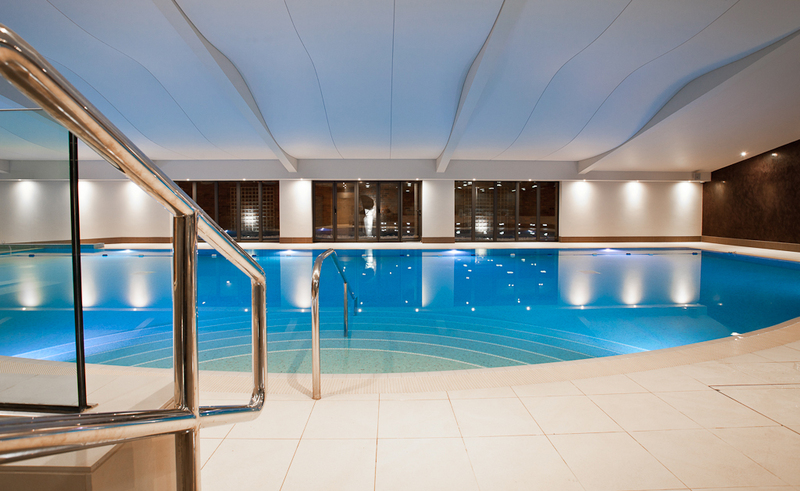 The health club and spa exudes the same understated modern elegance as the rest of the hotel. Staff warmly welcomed us at reception and offered us a seat to complete our consultation forms. Armed with towels, robes and slippers, we went through to the changing rooms which are large enough to get lost in. With dark wood lockers, immaculate toilets, four individual changing cubicles and vanity stations brimming with Aromatherapy Associates skincare products -- as well as hairspray and cotton wool -- you'll want for nothing else. Powerful showers contain Aromatherapy Associates shampoo, conditioner and body wash. Dump your wet towel in the laundry basket before entering the shower; wrap yourself in a fresh one on the way out. You'll also find a hot steam room here. The pool and thermal facilities are at the end of a bright corridor where a curve-edged 20-metre pool stretches out in front of you. Despite it being family swim time (check the website for times), we managed to do ten lengths in relative peace and quiet. At the far end, the infinity-edge hydrotherapy pool with bubbly jets is one you'll find hard to leave. But leave you should, if only to take advantage of the outdoor courtyard space adorned with loungers: a popular spot when the sun has got his hat on. If these are occupied, head to the other end where more rattan loungers (some heated) await. Pick up the telephone and order drinks to be delivered to your lounger while you read a book, snooze, or chat to your spa partner. Not too shabby. Back inside, read the suggested order of usage before entering the thermal facilities, starting with a refreshing drench in the experience showers. We began our spa journey in the dry heat of a traditional sauna and cooled down by rubbing ice from the ice fountain all over our hot limbs. The salt-infused grotto is a must, with a burst of steam every few minutes. Grab cubes of salt from a dish in the middle and rub salt on your arms and legs while the heat penetrates your skin. Our second shower was followed by a trip to the aromatherapy steam room, a hot, dark, steamy space with blue mosaic seating; fantastic if, like us, you are on the verge of a cold. Around a quiet corner are four tepidarium beds -- lie back and feel the warmth radiating through your body -- and a candarium. The hammam marked the perfect end to our thermal journey. Here, we stretched out on a warm central plinth and took stock of the day so far. When you're ready for your treatment, head to the light relaxation room which has a long bank of velvet seating and two separate bucket chairs. For post-treatment snoozing, The Mere also has a dimly-lit relaxation room with four lounge beds, each with individual reading lights. Pick up a glossy magazine and help yourself to complimentary fruit tea and other treats such as mango sorbets and fruit smoothies. We loved the words "LOVE" spelled out in white bulbs on a sign on the floor. It surely was. If all this wasn't enough, The Mere also has an 18-hole golf course, tennis courts and a gym. We tried the Inner Strength Treatment (55 minutes, £80) followed by an Ultimate Facial (55 minutes, £75). My therapist, Jess, met me outside the changing rooms and led me to “Rosemary”, a cosy treatment room scented with rosemary. Jess invited me to sit on a chair so that she could ask me about any concerns and talk me through the treatment. She left the room so that I could take off my robe and get comfortable on the treatment bed, lying face up. Jess began the massage by treating the palms of my hands and the soles of my feet to a dollop of paraffin wax, which felt instantly relaxing. Jess drizzled an Inner Strength oil containing sandalwood, chamomile and frankincense onto my back and performed a very skilled back and shoulder massage, using just the right amount of pressure. Jess poured an Enrich oil onto my hair and treated me to a blissful scalp massage, turning my head from side to side to release tension in my neck. For the facial, Jess did a double cleanse to rid my skin of grime before applying a scrub, which she wiped off with hot mitts. Recognising my skin to be quite dehydrated, Jess applied a serum to encourage a hyaluronic mask to penetrate deeper. The white mask, with holes for the eyes and mouth, looked quite freaky but felt wonderful on my skin. Jess did some pressure-point work on my face before massaging my hands and arms using rich body butter. Once she had removed the mask, Jess added another serum and performed a facial massage to encourage my sinuses to drain. Eye cream and an Aromatherapy Associates Overnight Radiance Mask completed the treatment. In the relaxation room afterwards, with iced water and a mango sorbet in front of me, I inspected my skin. Rarely does a facial yield such fantastic results: the deep lines on my forehead appeared much smoother while my entire face looked plumper and brighter. The spa at The Mere offers a range of facial and body treatments such as wraps, scrubs and massages, as well as treatments for mums-to-be and finishing touches such as manicures, pedicures and makeovers. You can eat lunch in your robe in the Spa Lounge and Bar, which serves wraps and flatbreads, as well as salads, hot dishes and indulgent desserts. We opted for the afternoon tea and tucked into flavoursome finger sandwiches, scones with cream and jam, and dainty little cakes, all served quirkily on a vertical wooden stand. If you're staying overnight, you can dine in Browns, an open-plan restaurant where we enjoyed scallops with black pudding and crushed peas -- served in a shell, no less -- followed by ballotine of chicken. Both dishes were a triumph. We ended with caramel crème brulée. The changing rooms: Rarely do we get to experience such large, well-equipped facilities in which to robe, de-robe, shower and preen. The setting: The sparkling lakeside setting makes The Mere a real getaway destination. The pool: Fling open the bi-fold doors and bubble away looking out onto the courtyard or, if the weather isn't kind, pick up the phone and order a drink on a heated lounger. Spa Spy heaven. The slippers: Flip-flops, please, The Mere. Couples will love the setting, golfers the golf course, foodies the food and families the dedicated family swimming times. 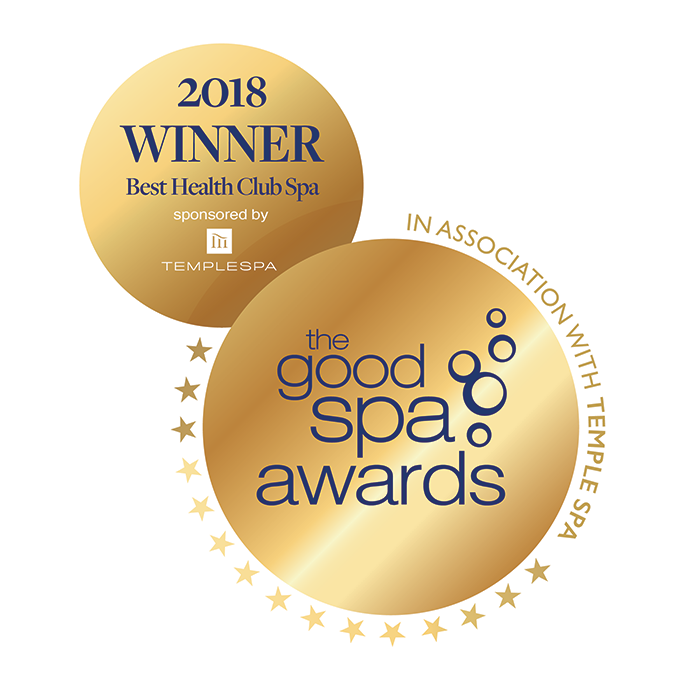 We awarded The Mere a Good Spa Guide Bubble Rating of 5 bubbles. The Mere is an extremely well designed and squeaky-clean spa with a good range of facilities, an imaginative treatment menu, extremely friendly staff, tasty food, and beautiful views. "This spa ticks all the boxes. It is customer centred and provides whatever is asked of it to a very high standard. I have used this spa several times and would recommend it for a relaxing and enjoyable time. The food was served professionally and you were able to relax in your robe. The changing rooms were spacious and comfortable to get changed in." "I do love it here but sometimes it gets very busy, with the introduction of living social, groupon vouchers. Your review is a little outdated as they have squeezed in more loungers by the pool and in the treatment relaxation room. " "Have had a couple of visits to the mere golf spa Have always had a lovely experience could not say anything bad wonderful"
"After booking a spa day at The Mere for my partner as a gift I was really looking forward to a relaxing day. I was very sceptical about where to book as I have visited The Woodland Spa many times and it is amazing. I always leave feeling amazing. I wanted the same experience however unfortunately I did not leave The Mere feeling relaxed at all. On arrival the receptionist signed us in and asked whether we had been before which we had not. We were then given a clipboard to fill in information. Once we had done this we were point towards our changing rooms, my partner went of to his I went to to the ladies. We were not shown how to use lockers, where facilities were, where treatments took place or anything. Once we located the facilities we walked in to find an aqua aerobics class taking place??? We had not been warned of this and had no idea we would walk in to a “relaxing spa day” to loud music. To top it off there was also nowhere to sit due to the entire aqua aerobics class saving sun loungers with towels etc. When challenged The Mere informed me when towels are left of loungers they are moved by staff. Incorrect. As we witnessed the girl working there folding/rolling towels and robes up and placing them nicely in the middle of the beds. We decided we would start with the HYDROTHERAPY pool (I called it a hot tub in my complaint and was highly patronised) that was cold! I overheard a member saying it was very cold and not normally at this temp however I was reassured they carry out constant temperature checks and it was not down at all that day. Needless to say in my 4.5 hour visit not one person came to check the temperature of anything. Our massage was great and we felt very relaxed after this, we were then moved on to out rasul treatment where we were informed in about 30 seconds what we had to do and then she left promptly. We had never done this before and again was not correctly informed of the procedure. It seemed as though every member of staff was in a rush. The sauna in the rasul room had a broken shower control so unable to use and the door got stuck if you shut it fully. So after a lovely massage and feeling relaxed it was soon all undone so we left the rasul gaining nothing from it. I would not recommend The Mere Spa to anyone. Instead I would have a look at Ribby Hall Spa and The Woodland Spa. Both very good relaxing spas. In my opinion The Mere is a GLORIFIED LEISURE CENTRE. I have emailed The Mere previous to this review to try and come to a solution however I received a rude patronising email in return and when I replied to that I was left with no reply. Do not waste your money as there are far better spas out there! " "Visited the spa today for the Autumn Spa package 25 min massage and manicure use of facilities and a 2 course lunch all for £99....treatments were quite rushed, manicure was a quick file and polish which chipped before I left the building, 2 course lunch all 3 mains chosen by my party were tasteless and desert tasted as if it had been sat on the side from the night before. Although the venue is very nice the food and service is not what I would expect and definitely not good value for money. Havi g visited many spas I would not recommend this spa to anyone and I expected alot better from such an upmarket venue." The Spa Lounge & Bar serves breakfast and light dishes; Browns restaurant serves a fine dining menu; The Club Lounge & Bar serves traditional English fare in a relaxed environment. The Health Club is open every day: 6:30am - 10pm. Spa treatments are available Monday to Friday: 10am - 8pm; Saturday and Sunday: 10am - 6pm.